A Rotator Cuff injury can be painful and extremely disappointing to those who depend on the shoulder to pursue their athletic passions. The shoulder is instrumental in sports like golf, tennis, baseball, and swimming among others. The Rotator Cuff includes four tendons and muscles that come together around the shoulder joint, instrumental to the mobility of the arm. Stress to the Rotator Cuff can cause tears or swelling in the tendons, resulting in diminished flexibility and pain. 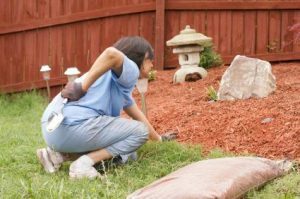 Northern New Jersey Physical Therapists can address these injuries, helping bodies heal while learning tools for future prevention at the same time. The symptoms of a Rotator Cuff injury include weakness of the shoulder, difficulty lifting your arm above your head, cracking or creaking sounds with movement of the shoulder, and of course pain in the shoulder area. When you experience this kind of discomfort you should get in touch with your doctor or make an appointment with a Northern New Jersey Physical Therapist for an analysis. When addressed in a timely manner successful treatment can begin and the healing process can get underway. Elite Spine & Sports Care focuses on Deep Tissue Laser Therapy treatment for Rotator Cuff injuries. This treatment involves the strengthening of the scapular and arm muscles surrounding the Rotator Cuff. In addition, Deep Tissue Laser Therapy can speed up the healing process. Deep tissue Laser Therapy focuses on the area of concern and gets the blood flowing so that tendons can heal. The Rotator Cuff is one of your most mobile joints and having it work properly is essential for an active lifestyle. The Northern New Jersey Physical therapists and Chiropractors at Elite Spine and Sports Care offers attention to your healing in addition to preventative exercises to keep you enjoying the sports you love. Contact the Northern New Jersey Physical Therapists to schedule your Deep Tissue Laser Therapy appointment. We offer Physical Therapy services to residents in and near Totowa, New Jersey and Fort Lee, New Jersey. It’s always a good idea to learn whether treatments you are undergoing and the medicines you are taking are safe for your health as well as your baby’s health. Although non-invasive, Acupuncture is not an exception to that rule. Expectant mothers want the best for their child, and everything that is consumed, or done by a mother affects the baby’s well-being. Oftentimes, mothers will do endless research while pregnant to see what exercises they can and cannot do, what medications they can take, and what foods they should be eating. That raises an important question, is Acupuncture safe during pregnancy? Acupuncture is commonly used to treat pain but also helps with allergies, headaches, depression, insomnia, and anxiety, among many other conditions. Acupuncture stimulates the central nervous system, releasing biochemical signals which helps trigger the body’s natural healing processes. Because this treatment is non-invasive and non-medicinal it is considered safe for a pregnant woman! So, How Can Acupuncture Provide Relief For Pregnant Women? One of the biggest benefits of acupuncture during pregnancy is that it can ease nausea. Oftentimes, nausea plague pregnant women and the opportunity to face it with acupuncture is typically welcome. General aches and pains are another side effect of pregnancy that is hard to avoid. But these aches and pains can be solved in as little as one acupuncture treatment. The opportunity to stimulate the central nervous systems through pressure points enables the body to repair itself naturally. Acupuncture gives women the ability to avoid pain medications through their pregnancy while still feeling great! Elite Spine and Sports Care offers a full range of acupuncture treatments in both our Totowa Acupuncture and Fort Lee Acupuncture locations. Contact our team today to learn more about how acupuncture can help ease your pregnancy-related ailments. We would be happy to help you through understanding how acupuncture can help you during your pregnancy as well as the safety of performing acupuncture during the course of your pregnancy. Announcement: We’ve Expanded To A 2nd Location! Our New Location in Fort Lee, New Jersey Is Now Open! 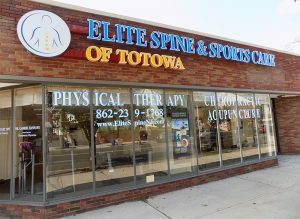 In 2016, Elite Spine & Sports Care of Totowa opened its’ doors to bring the residents of Totowa and the surrounding Passaic County area a health and performance focused practice that provided physical therapy, chiropractic care, acupuncture, and rehabilitation. Our model focuses on the dynamic use of manual medicine to treat post-operative procedures, sports injuries, orthopedic and neurologic disorders as well as general pain. Elite Spine & Sports care believes that through a proper balance of exercise, nutrition, and care of the body’ framework can not only improve a patient’s condition but also improve their life. Beginning in 2019, the team at Elite Spine & Sports Care decided to bring these treatments and high-quality care closer to the residents of Fort Lee and the surrounding Bergen County area. Our NEW additional location is located at 1622 Parker Ave. Suite B Fort Lee, NJ 07024. This additional location will offer the same manual healing techniques as well as the high level of knowledge and experience that is found in our original Totowa location. 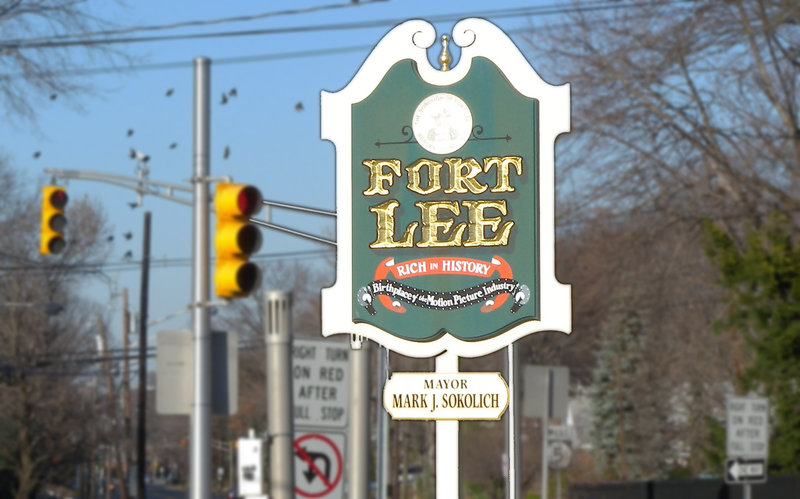 We Invite You To Visit Our Newest Location In Fort Lee! Elite Spine and Sports Care of Fort Lee is now open for Physical Therapy, Acupuncture, Chiropractic Care, Rehabilitation and other modalities that help to heal injuries of all sorts! There are many reasons why you should see your NJ chiropractor this holiday season. The holidays are filled with fun activities, but they can also be stressful. As a result this time of year can take its toll on your body. Seeing your Totowa NJ chiropractor can help your body prepare for the stress. This attention will keep your posture aligned and your body in shape. A change in routine during the holiday season is what most people experience. This can mean a busy social calendar which easily gets people out of good habits. A change in eating habits and workout regimes can be stressful. This can mean added weight, more time on your feet, and a change in the way you feel physically. This makes chiropractic therapy more necessary than ever. Passaic County chiropractic care is available at Elite Spine and Sports Care of Totowa. This aims to both heal and maintain the body. Chiropractic care implements manipulation or adjustment of affected joints and tissues. Ultimately this can restore mobility, helping to alleviate pain and muscle tightness. This also results in allowing tissue to heal. Stressful times can create stiffness in the body. Relief from this stiffness can be found by seeing an experienced chiropractor in Totowa NJ. Contact our team at Elite Spine & Sports Care of Totowa today, (862) 239-1768. Our knowledgeable and dedicated team prides itself in helping bodies perform better. Passaic County chiropractic care can address a variety of aches and pains and also address posture so that you can resume and/or continue your desired activities. The holidays can be stressful, take the time to take care of yourself and make sure you get to enjoy them to the fullest. The experienced team at Elite Spine and Sports Care of Totowa aims to help athletes return to good health and condition. We also help those who may not consider themselves athletes. Headaches can do a number on a body and the realignment and soft tissue work that NJ chiropractic care and active release technique can help soothe the pain. Contact our team today to help you work on your health. Elite Spine offers an approach based on the functional model and the dynamic use of manual medicine into physical therapy and rehabilitation. We believe that optimal health and performance can be attained through proper stability by enabling correct function via mobility of joints and corresponding muscles. Deep Tissue Laser Therapy is designed to help promote healing after an injury or chronic pain. This form of therapy works by, you guessed, lasers! Simply put, the laser stimulates an area through photo-bio-stimulation, a non-invasive and painless technique. Similar to plants under the sun, Laser therapy creates a photochemical reaction that directly effects the mitochondria. When your cells become stressed, like in times of injury, the mitochondria begins producing nitric oxide. This displaces oxygen within the cell and reduces ATP, decreasing the level of energy the cell can contain. Laser Therapy’s photochemical reaction blocks nitric oxide production allowing the cell to act as normal thus promoting the natural healing power of your body! Nobody wants to experience an injury let alone deal with the complications that surgery causes. When injuries happen we all want the least painful but most effective solution. Deep tissue laser therapy has been successful treating a variety of injuries. Deep Tissue Laser Therapy is extremely effective not just for immediate injuries, but also when used to treat chronic conditions. Additionally, laser therapy helps to treat pain resulting from previous surgeries. In fact, deep tissue laser therapy NJ is a great alternative to medications after surgery. 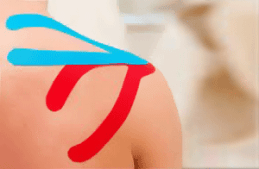 What Is Deep Tissue Laser Therapy Used For? If you’re experiencing pain, whether chronic, injury related or onsider the benefits of deep tissue laser therapy. Trained Totowa physical therapists at Elite Spine and Sports Care will help you feel and perform better. This form of treatment is non-invasive and focuses directly on the irritated tissue. As a result, deep tissue laser therapy gives results you are looking. Contact our team at Elite Spine and Sports Care of Totowa to learn more about Deep Tissue Laser Therapy in Passaic County, NJ. Elite Spine and Sports Care of Totowa NJ offers an approach based on the functional model and the dynamic use of manual medicine into physical therapy and rehabilitation. Optimal health and performance can be obtained through proper stability. This is done by enabling correct function via mobility of joints and corresponding muscles. What Is Massage Therapy & What Issues Can It Solve? Massage Therapy is widely known and widely used for a lot of different reasons. After all, simply hearing the word massage brings visions of relaxing indulgence or perhaps a day at the spa. The trained NJ massage therapists at Elite Spine and Sports Care of Totowa use massage techniques as a form of therapy to get you back in action after an injury. Massage can compliment a course of treatment or serve as the course of treatment for athletes, both novice and professional. The practice of massage involves utilizing soft tissue manipulation techniques to address stress, muscle fatigue, and soreness. In addition, massage therapy increases circulation which is helpful for the body to heal itself. Although massages are most commonly associated with back pain, it can help with pain relief all over the body. Elite Spine and Sports Care offers a diverse array of physical therapy options and massage therapy often serves as one part of a recovery plan. 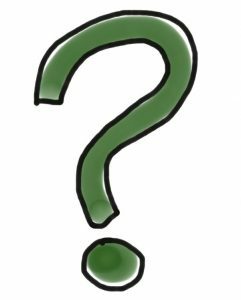 What Issues Can Massage Therapy Address? Massage can be used as a form of physical therapy to reduce pain and swelling while at the same time increasing flexibility and range of motion. Manipulating muscles and working through stress pockets can be helpful in getting a body back in action. Athletes, in particular, can benefit from massage, getting their muscular alignment back in action. The Passaic County massage therapy available at Elite Spine and Sports Care is designed to help you reach your full athletic potential. Contact our team at Elite Spine and Sports Care of Totowa today to schedule one of our Passaic County Massage Therapists. Our educated, experienced, and knowledgeable staff can help you learn more about how massage therapy can fit in with your recovery plan. Our physical therapists are here to address your areas of pain while helping you learn more about massage therapy and what issues it can solve.